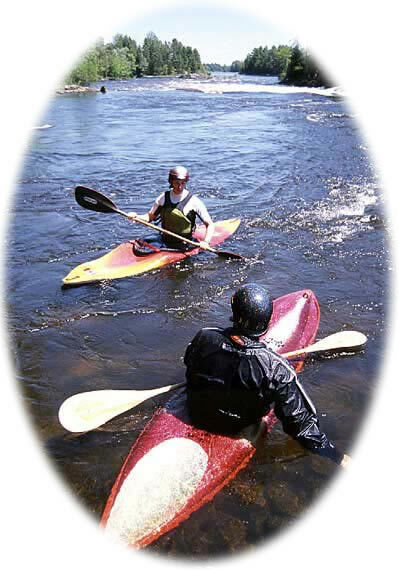 The Ottawa JimiCup started in 1999 as one of a series of low-key gatherings of squirt boaters on several classic squirt rivers. Named for the Godfather of squirt boating - Jim Snyder - other JimiCup events were held on the New and Gauley rivers (WV) that year, and a subsequent event was held on the Cheat river (WV) in 2000. The focus of the JimiCup series was primarily to bring squirt boaters together to run rivers, share skills, and get down at some of the best mystery-move spots in the world. In keeping with that theme, the Ottawa JimiCup is purely fun-oriented and relatively informal, although it does culminate in a downtime competition to end the weekend's festivities. The JimiCup, along with other similar squirt events in the USA, Europe and Japan have been enormously popular among squirt boaters worldwide, and they grow in number and attendance every year. The first Ottawa JimiCup attracted 7 boaters from Canada and the USA; the second event doubled in attendance, and growth has been exponential almost every year since, with new faces showing up each summer!